If I had to pick a favorite song from this album of Credence Clearwater Revival it would hard… but this song would be a contender. It’s the way Fogerty wearily sings the lyrics, he sounds so much older than he was at the time. The song is off of the great “Green River” album. John Fogerty on writing the song. 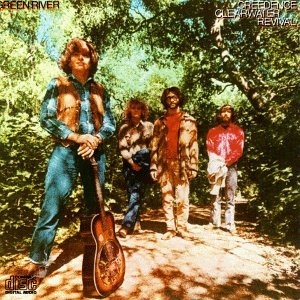 Even the warm nostalgia of the title track is tainted by the knowledge that ‘Green River’ might be the last refuge. or fear in Fogerty’s heart – between the jaunty chords of ‘Bad Moon Rising’ and the end of all existence described in the lyrics – makes for a rocking listen, again and again.